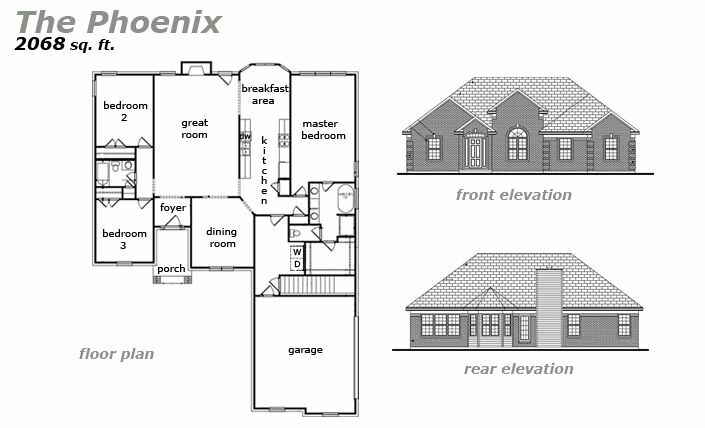 The Phoenix – 2068 sq. ft. This majestic estate features gorgeous architecture, plenty of natural light, 3 Bedrooms and 2 Bathrooms. The kitchen ajoins a breakfast area bathed in sunlight, and the Master Bedroom has a private bathroom with a jacuzzi and a shower, as well as a big walk-in closet.